Leave a Comment on Bootcamp, BBQ style…. I’m far from what you’d call a world traveler…but I think I’ve seen quite a bit of this country over my lifetime. I’ve definitely seen much of California as I’ve lived in Southern California for the first 13 years of my life and Northern California the last 27. So when my wife and I had the opportunity to go to a BBQ Bootcamp at Alisal Guest Ranch in Solvang, California we jumped at it. I personally jumped at it not because of it’s location but because of the topic: BBQ. After going, I realized that I take my home state for granted. 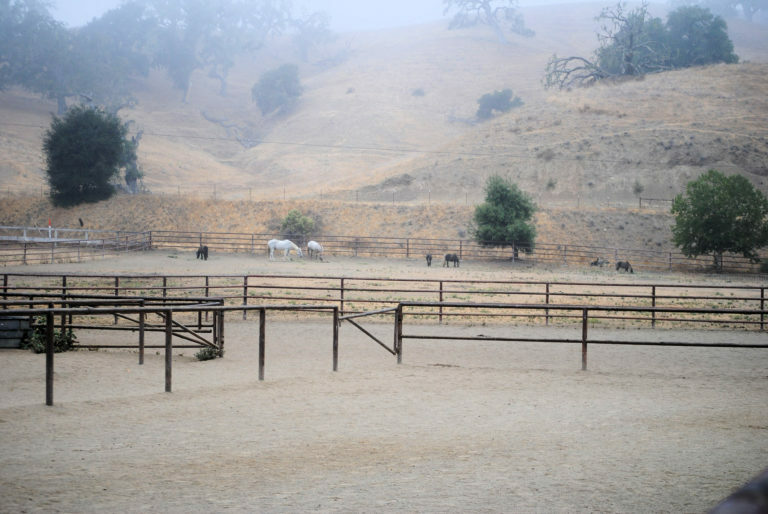 We really have it all here in California and the Alisal Guest Ranch was just so amazing that the location is what kept me wanting to stay longer, if even for one more day. In my 40 years, I haven’t been to a place so all around awesome. I’ll do my best to paint a brief picture just to make you jealous! First off, imagine driving through a place filled with Danish-style architecture because that is what Solvang actually is. It’s a cool little town with windmills everywhere and small restaurants and shops selling Danish food and goods. It is so cool! That was our first stop because Dan Phelps of LearningToSmoke.com recommended that we do so and we were glad we did. 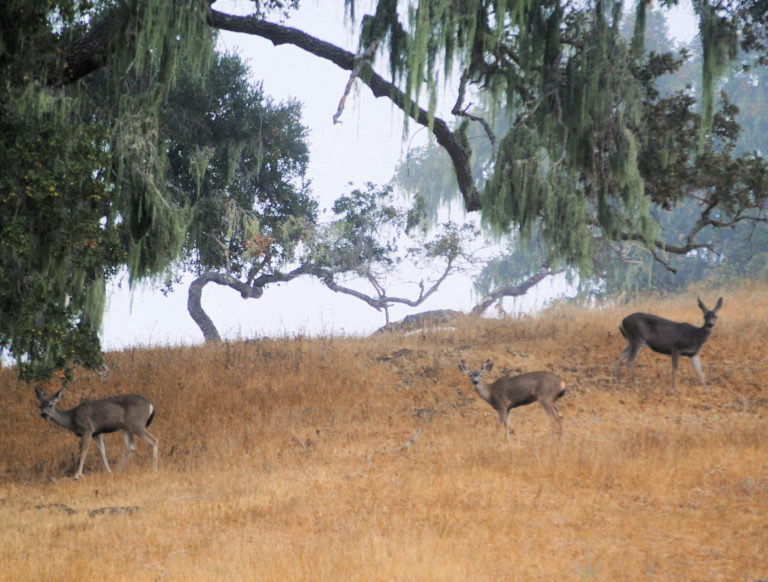 Once you leave Solvang and head south a few miles, you’ll come to rolling hills and trees…a completely different setting than the one you just left. Soon you see a golf course and tennis courts before coming to the entrance of what appears to be a high-end cattle ranch. The driveway is covered by tall trees with guest quarters on the left and horse barns and corrals on the right. It is VERY picturesque. We were greeted by some very friendly people at the front desk who promptly checked us in and gave us instructions on how to get to our guest quarters. We found our quarters and entered a room with a large king bed, a real wood burning fireplace, two relaxing chairs and a table. In our room was a welcome gift basket and some wine from local wineries. We had a separate room with a single bed and a large closet along with a counter and sink that allows someone to get freshened up without having to go in the bathroom. The bathroom had a full shower and a full bath along with a separate sink. Our room looked out over a large lawn area that was set up for relaxing as well as for playing different types of lawn games. 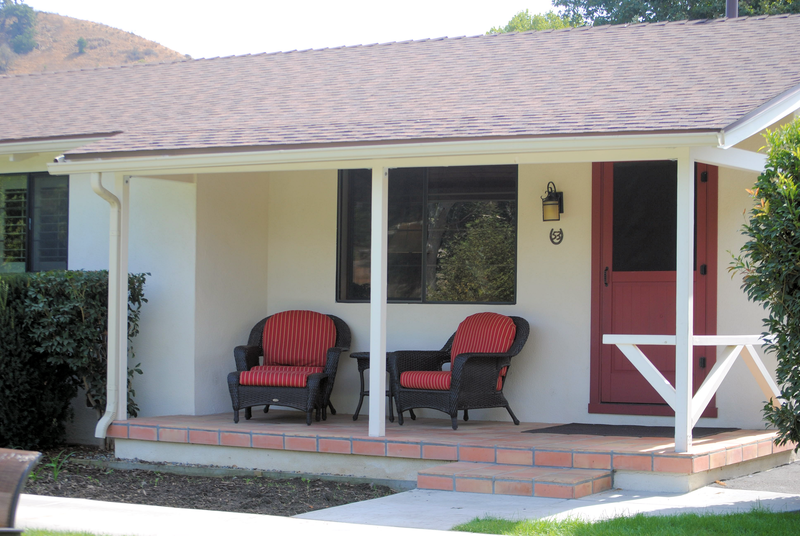 We could sit down and relax in two chairs set right outside our door. Just behind our studio was a full gift shop, spa, and fitness center which is something I should’ve used after all of the food we ate…but I’ll get to the food later. We walked a little farther and found the large pool along with the pool-side bar area and to the east of the pool was a cafe and separate bar where we had our first drinks of the visit. Across another large lawn area was a building where we ultimately would spend most of our time having our meals which were all included in the BBQ Bootcamp. The bootcamp took place right on the Creekside Lawn which is near the building which houses a full restaurant, banquet room, and full bar, along with a fireplace and piano for live music. That’s the setting this BBQ Bootcamp took place in and it only gets better when we talk about the food. 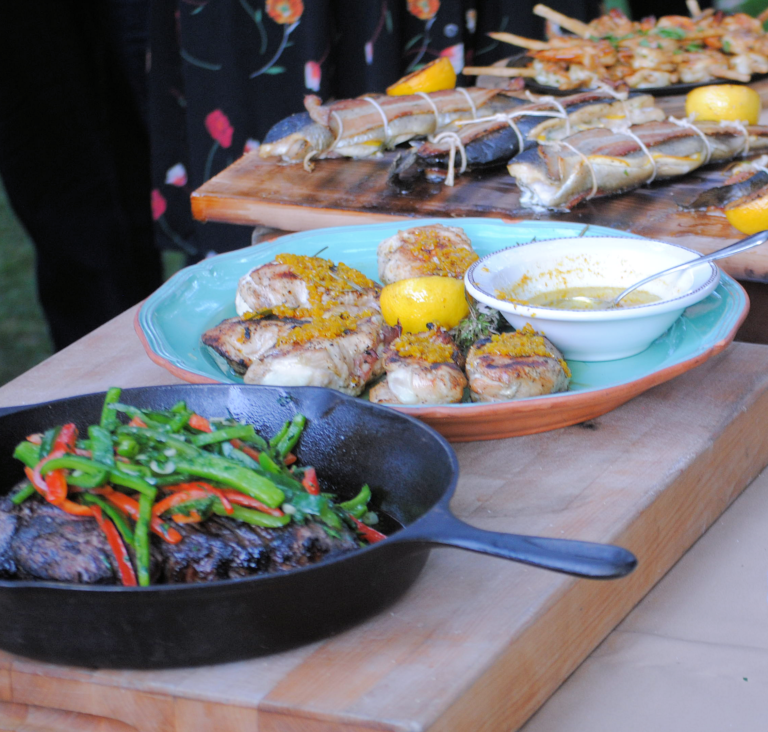 The BBQ Bootcamp was being taught by (in order of their appearance at our bootcamp) Chefs Anthony Endy, Frank Ostini, Valerie Gordon, and Steven Raichlen. 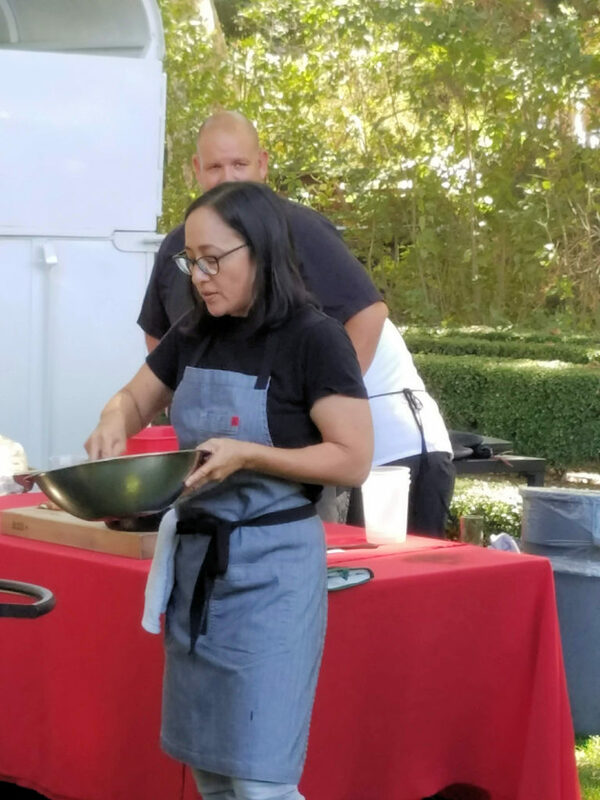 We also had the pleasure of learning about pizza making from Brenden Smith and Rachel Greenspan who are the owners of Bettina Pizzeria which is a local mobile caterer and pizzeria down in nearby Santa Barbara. 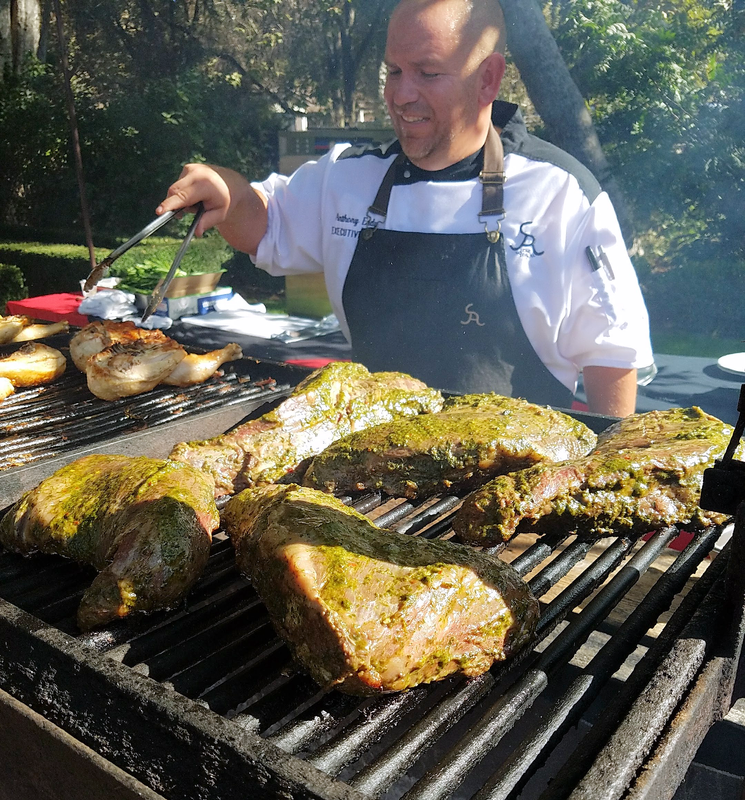 Anthony Endy is the head chef at Alisal Guest Ranch and was so knowledgeable and an all-around nice guy. Frank Ostini is the owner of Hitching Post II Restaurant and Winery. I found his teaching style to be fun and humorous. 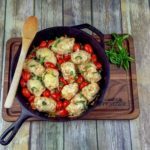 Valerie Gordon is a world-renowned chef that has been featured all over The Food Network, the Cooking Channel and other TV networks as well as in many major magazines. She was pure laughter from the moment she was introduced. 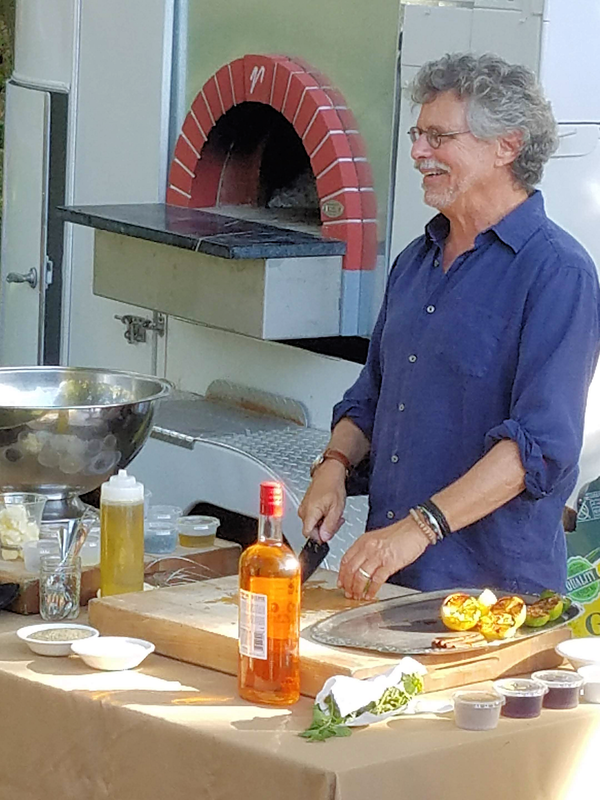 Steven Raichlen is also a world-renowned chef and known for several TV shows, some of which he actually filmed at Alisal Guest Ranch. He has also authored over 30 books on the subject of BBQ. Needless to say, this bootcamp had the best. Our first lesson was by Frank Ostini and Anthony Endy. They went over the ins-and-outs of the Santa Maria style grill. We learned about the wood that they preferred to use as well as starting the fire, how to clean the grill and when to start BBQing on that fire. As someone who primarily grills on my pellet grill, I was all ears to learn another method and it was fascinating. They cooked us some huge American Wagyu Tri-tips that they marinaded in a chimichurri sauce which is something I never heard of doing before. I’ve made my own jalapeno chimichurri and love it as an addition to any beef, but to marinade it is a new thing I’ll be trying for sure! They also cooked us some bacon-wrapped scallops, shrimp wrapped around sausage, some AMAZING and juicy half chickens that were brined overnight, and various vegetables all cooked on the Santa Maria style grill. Pair all of that amazing goodness with a local winery and brewery and you have yourself a great meal! The second day started in the Cottonwood room which is located near the pool. 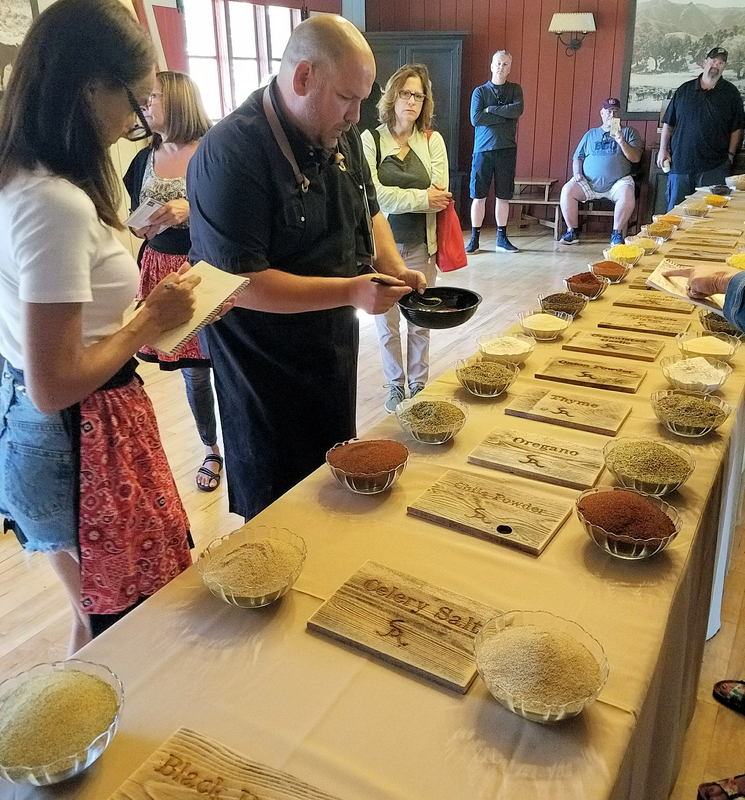 It was a spice blending class where all of the various spices were laid out on the table and we were given free reign to make our own mixtures to take home. Chef Anthony Endy gave us a run down of what each spice does and smells/tastes like and gave us some guidance and we went from there. My wife and I tested the one we made on some New York steaks once we got back home and we were pleased with the results. 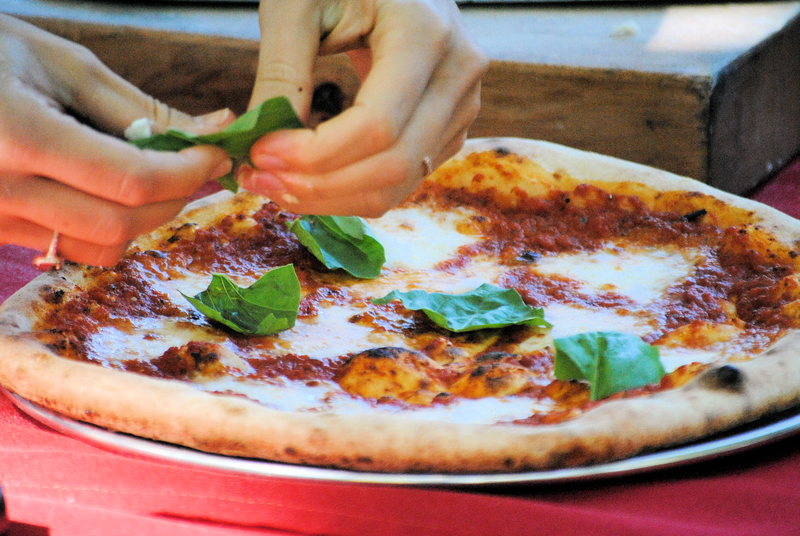 Mid morning was a demonstration on wood fired pizza ovens by Brenden Smith and Rachel Greenspan from Bettina Pizzeria. They gave us a good education on starting your own sourdough culture and “raising it” to use as a dough for pizza. The pizzas they made for us during the demonstration ended up being our lunch for the day and it was very tasty! We have our own wood fired pizza oven so we are looking forward to putting our new knowledge to the test. After lunch we had a seminar by Valerie Gordon on BBQ desserts. She demonstrated cooking inside of cast iron skillets and used a LOT of butter which speaks to me perfectly. She showed us how to make caramel on the BBQ and shortly after we enjoyed skillet brownies, salted caramel bread pudding, an alcoholic drink with caramel in it, along with other great desserts made on the BBQ. Our evening class was with Steven Raichlen. He demonstrated both on the Santa Maria grill and some ceramic grills. We first started with a drink: “Grilled Sangria.” Did you even know that drinks can be made on the grill? Well obviously you can’t put the liquids on a hot grill but many of the ingredients you can! And that’s what he did. Chef Raichlen later cooked us dinner! 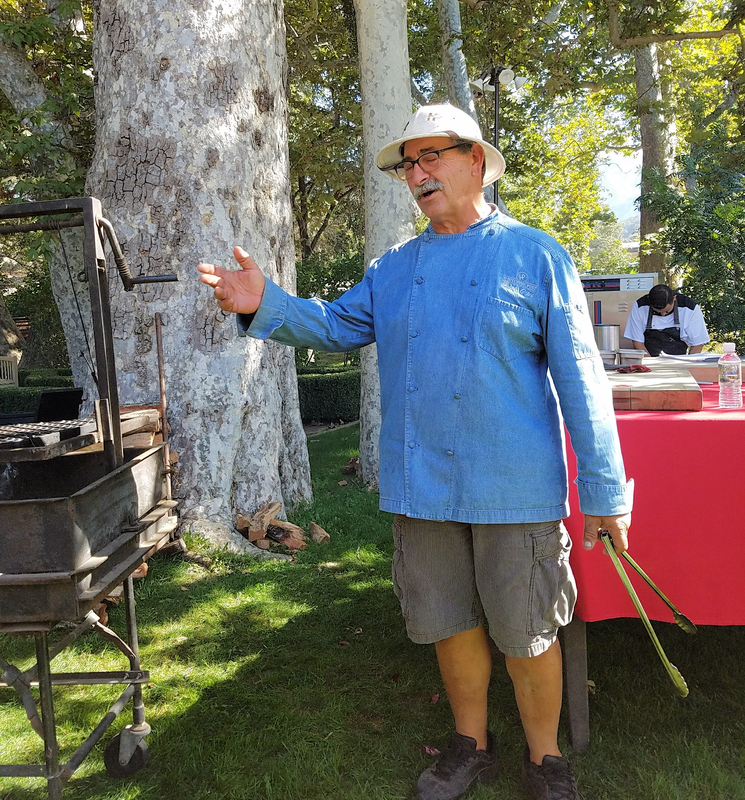 He demonstrated caveman T-Bones with bell pepper pan-fry, cedar-planked trout, plantation shrimp with Mount Gay Rum glaze, grilled artichokes, and much, much more. We also had Smoked short ribs, tomahawk pork chops and lobster tail. Needless to say, there wasn’t a single person that went hungry that night and with a lot more BBQ knowledge than they started out with. Later that night, when most people went back to their rooms, my wife and I went to the lounge to enjoy some piano playing from Bill, who happened to be celebrating 50 years at Alisal that very night. Later, one of the other campers got up to sing along with Bill’s piano playing and we were enjoying our own little concert. In the morning, we went and had breakfast at the “Old Adobe” that was prepared for us by the awesome staff of Alisal Guest Ranch. We opted for the hayride which was a 15 minute ride through the hills where we enjoyed seeing wild turkey, deer and some other great scenery. Many of the camp-goers chose to ride horses to the Old Adobe which took them about 45 minutes. After breakfast, Valerie Gordon did one last demonstration for us on the ceramic grills. She taught us how to do “dutch babies” in the cast iron skillet. I did not sample any because I was already full from the previous meals and this huge breakfast. All in all it was just one amazing experience that is hard to sum up quickly as you can see. I just can’t pinpoint what my favorite part of this experience was. From the BBQ education, to the food, to meeting some really great people, it all was so much fun. The bottom line is, this is an event that everyone who likes BBQing and enjoys good food needs to experience without a doubt. I know I will try to go back.